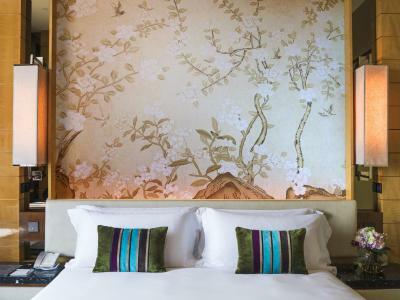 Lock in a great price for The Olympian Hong Kong – rated 9.1 by recent guests! The level of service and caring of the staff was exceptional. Nice afternoon tea for guests (though breakfast not included)...Lovely and large rooms with large windows, great amenities and water views. Very attentive staff. Very large room. Very comfortable. One of the best suites I've stayed in. Only a short easy walk to the metro. It is an up-scale residential apartment block with one floor of letting rooms. The property is palatial and beautiful. The room/suite was very large and well-equipped and quite luxurious. 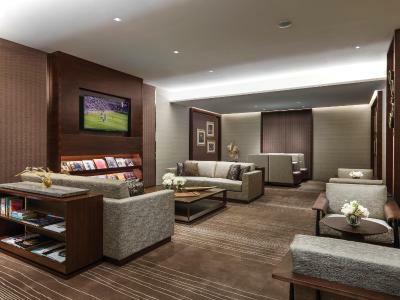 There is an executive lounge with free drinks and snacks. The staff were extremely courteous and helpful. It was a good experience and I would recommend this place for a business traveler. very large room, huge bath, tea and coffee offered, very close to Olympic MTR station. Service was amazing. Room is unbelievable! A 30 room hotel all on one level. It was perfect if you want a quiet place that should be rated 100 stars. Amazing staff who want to help in every way. We will definitely be back to stay! 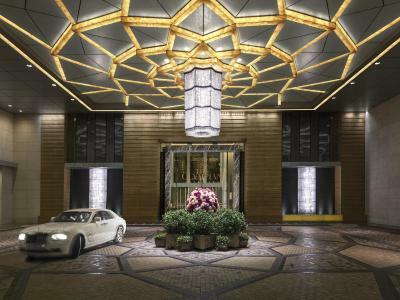 The Olympian Hong Kong This rating is a reflection of how the property compares to the industry standard when it comes to price, facilities and services available. It's based on a self-evaluation by the property. Use this rating to help choose your stay! One of our best sellers in Hong Kong! 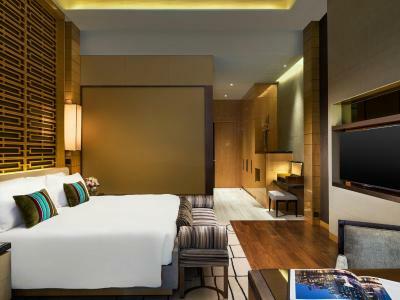 Located in West Kowloon and a 10-minute walk away from the Olympic MTR Station, the Olympian Hong Kong offers accommodations in Hong Kong. Free WiFi and Handy smartphones are available. 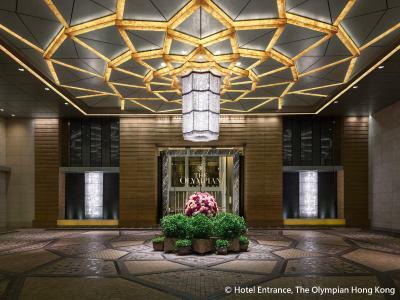 The Olympian Hong Kong is a 6-minute drive from Airport Express Kowloon Station and a 25-minute drive from Hong Kong International Airport. 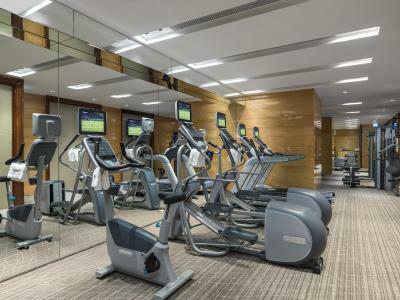 It is a 10-minute walk from the Olympian Cit shopping mall and a 6-minute drive from Elements. Star Ferry is a 12-minute drive away. 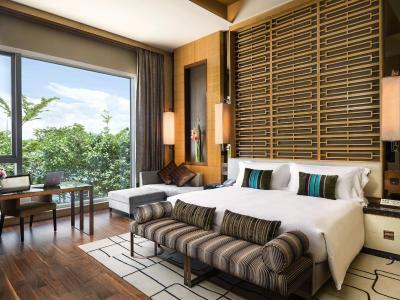 Featuring floor-to-ceiling windows overlooking Hong Kong skyline, spacious rooms here are equipped with a flat-screen satellite TV. You will find a coffee machine and a kettle in the room. All rooms are equipped with a private bathroom with a bath and shower, with slippers, free toiletries and a hair dryer provided. 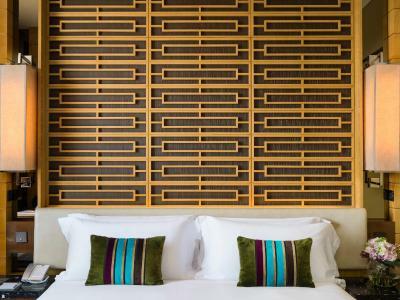 You will find a 24-hour front desk at this luxury boutique hotel. 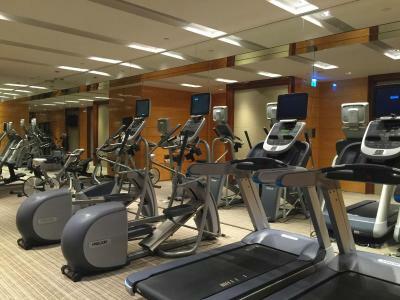 There is also a 24-hour fitness center at the hotel. When would you like to stay at The Olympian Hong Kong? 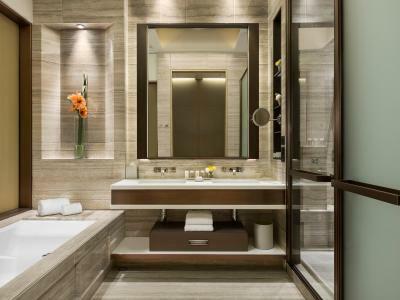 - housekeeping service twice per week. This double room features a satellite TV and mini-bar. 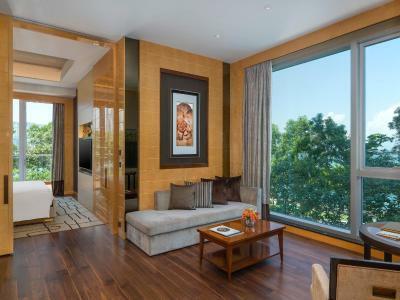 This suite features air conditioning, dining area and view. 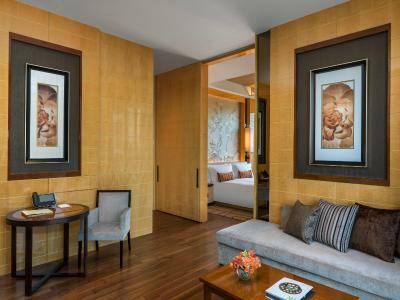 Each guestroom is a private space by itself, and features soaring 3.3m ceilings that flow seamlessly. 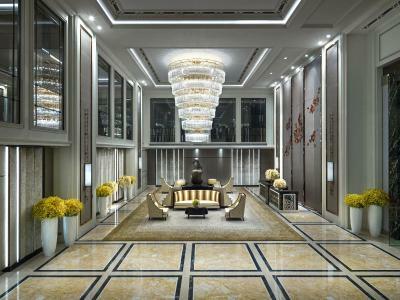 Guests can unwind amidst opulent furnishings and a picturesque backdrop of the city through the floor-to-ceiling windows, complemented by the mesmerizing seaview over Victoria Harbour and skyline of Hong Kong. 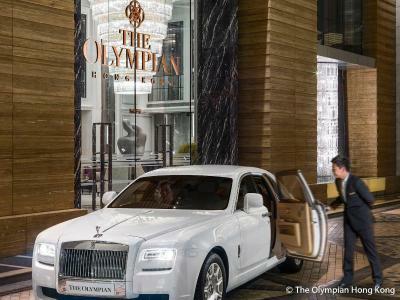 House Rules The Olympian Hong Kong takes special requests – add in the next step! 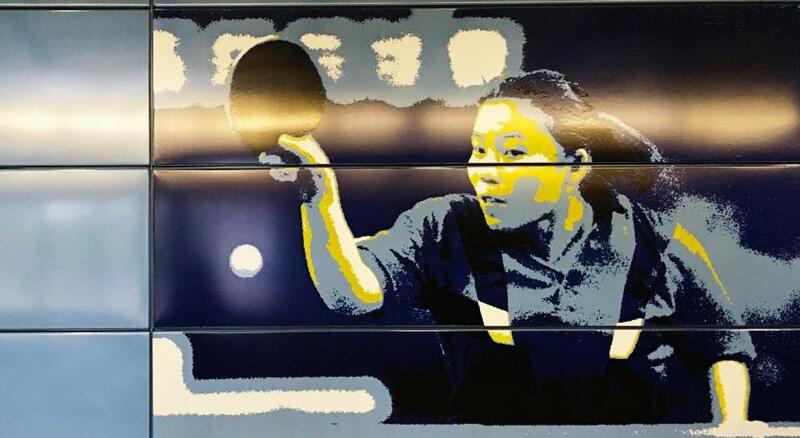 The Olympian Hong Kong accepts these cards and reserves the right to temporarily hold an amount prior to arrival. 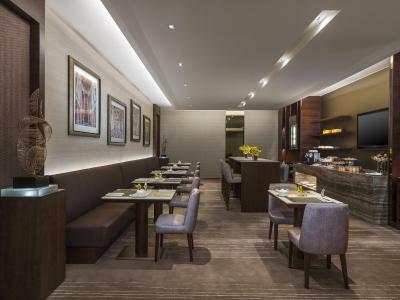 There are only limited food outlets in the immediate vicinity and, because it is essentially an apartment block, there is no restaurant or coffee house on the premises. There is breakfast served (at modest extra cost) in the lounge. That said, it is about 10 minutes walk from Olympian City Mall, which has plenty of fast food and restaurants to choose from. The aircon is a bit too cold. The cleanliness of the room and the free drinks. Its a bit stressing at night to move to and from the hotel to experience the Hong Kong night culture due to some occasional difficulties of getting a taxi back to hotel... specially in rainy seasons. Should have paid attention there's no pool. My bad actually. The room is more like a comfy apartment, extremely spacious and the bed is fantastic. Free access to the lounge. Amazing room, friendly staff, large rooms and super fast wi-fi. 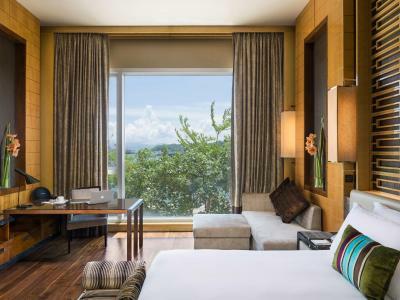 The limited number of rooms gave the hotel a very enjoyable and personal feel. Elevators are not working at night, no one at reception after midnight.